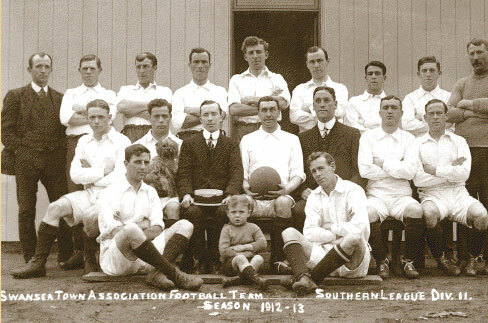 The first ‘Swans’ football team was formed in 1872, as a winter activity for the town’s cricket players. 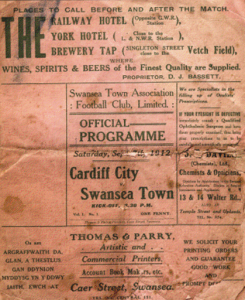 However, by 1874 the cricketers had switched to rugby and Swansea RFC was born. 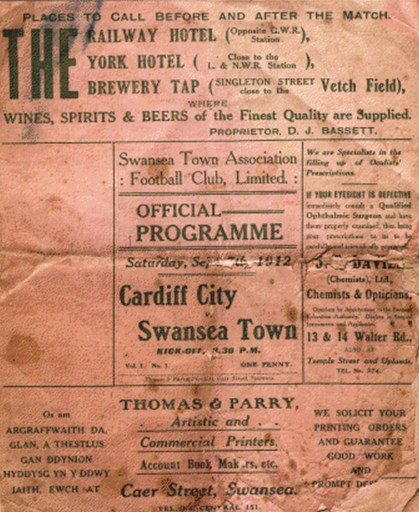 There were various amateur clubs in the town at this time, such as Swansea Villa, but it was over 20 years before fully professional football came to South Wales. The founding of the Football League in 1888 pushed forward the process of commercialising the game in the UK. 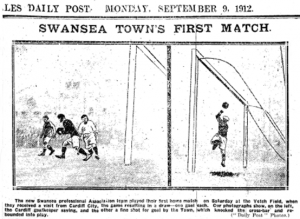 In 1912 a number of local citizens decided to start a professional club in Swansea. A mixture of commercial investment and town pride led to players being recruited from all over the UK. Swansea Town entered the Southern League, alongside Cardiff Cityand a number of other Welsh Teams. 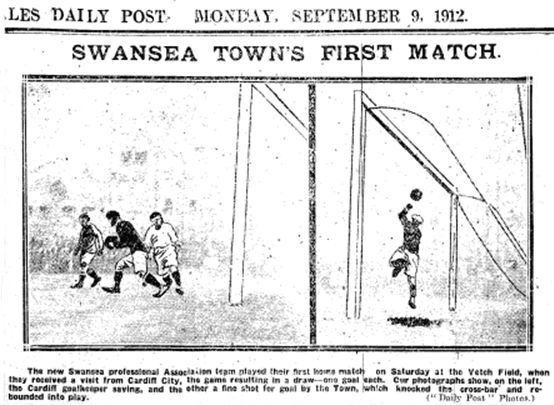 On 7 September 1912 the first professional league match for Swansea Town took place at the Vetch Field. The match against Cardiff City ended in a 1-1 draw. The first season was highly successful, with the Swans winning the Welsh League, the Welsh Cup, and coming 3rd in the Southern League Second Division. Scorer Billy Ball became the Swans’ first hero.